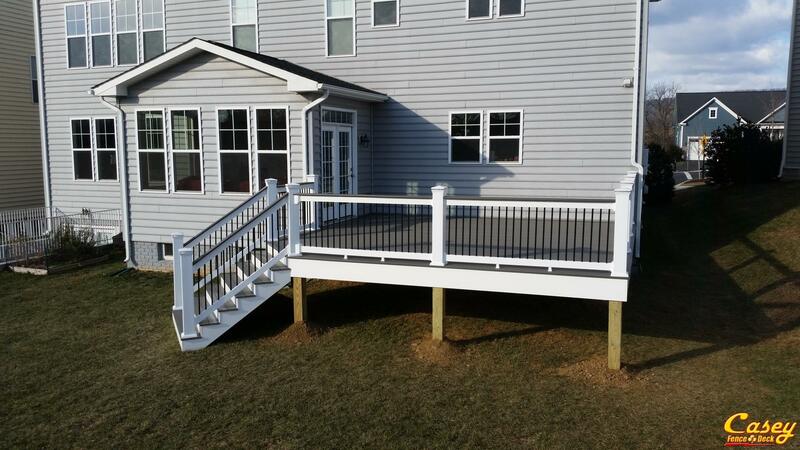 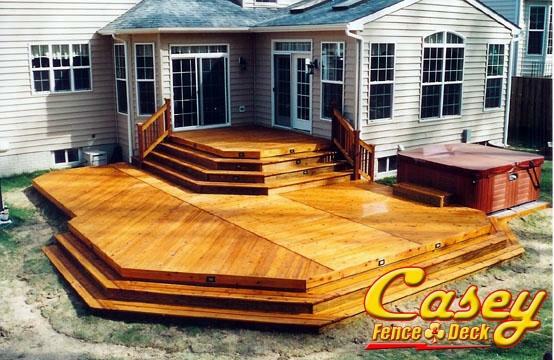 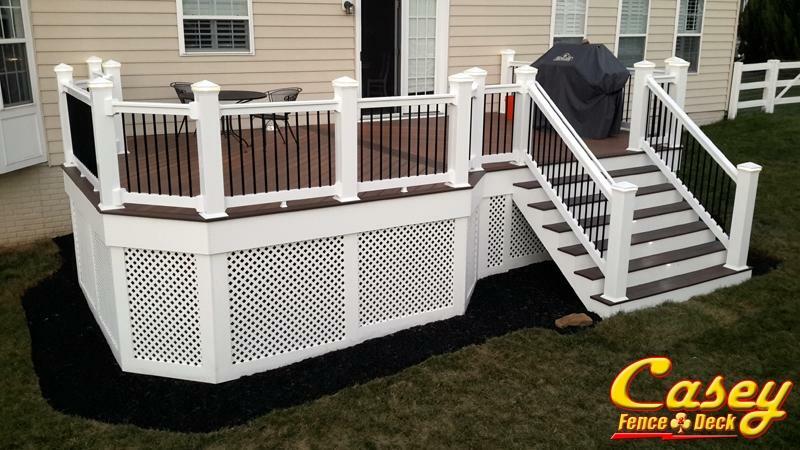 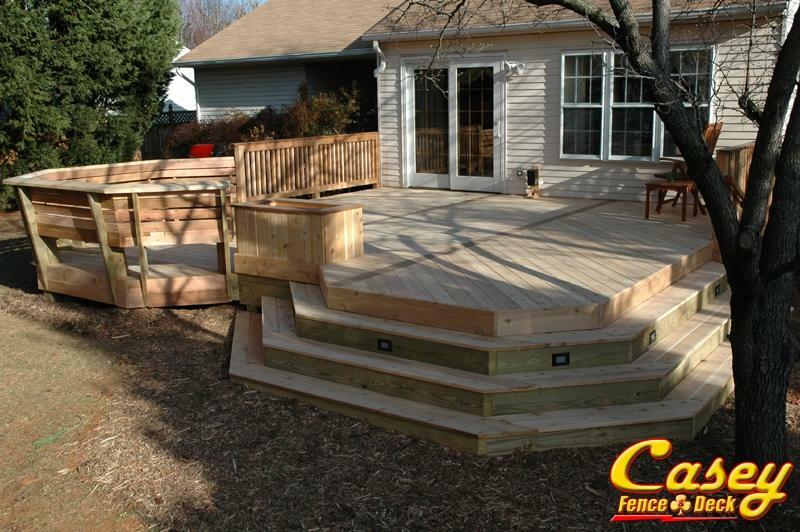 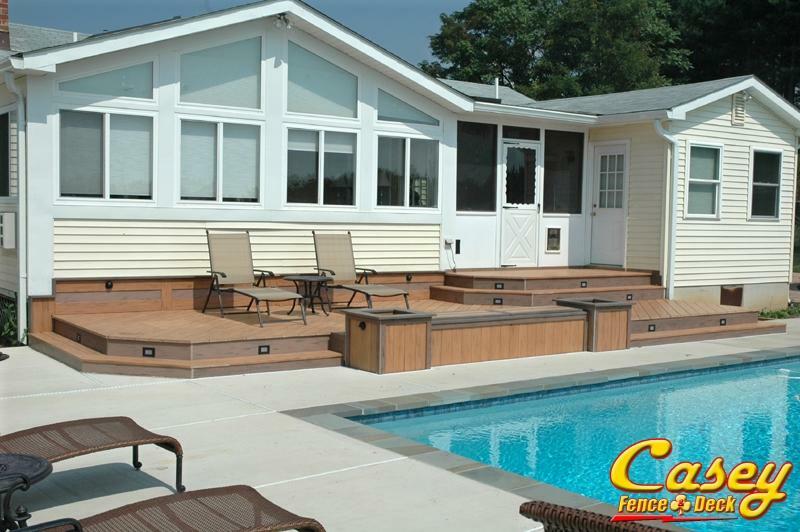 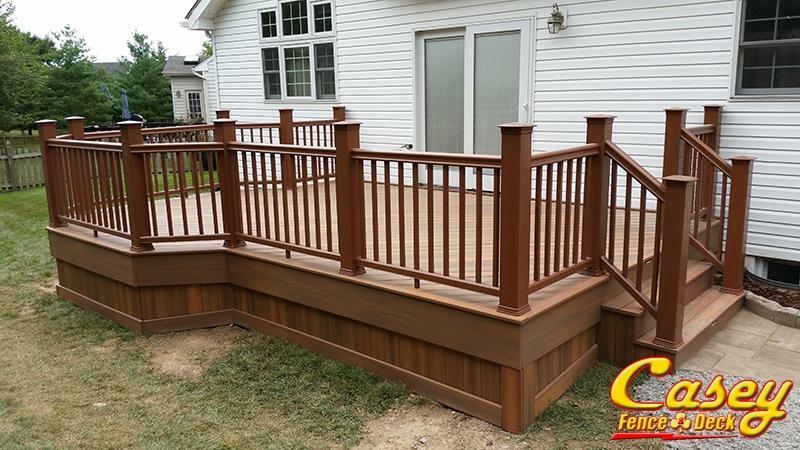 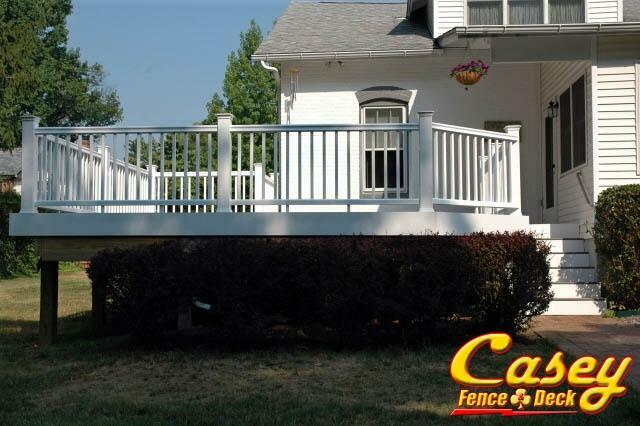 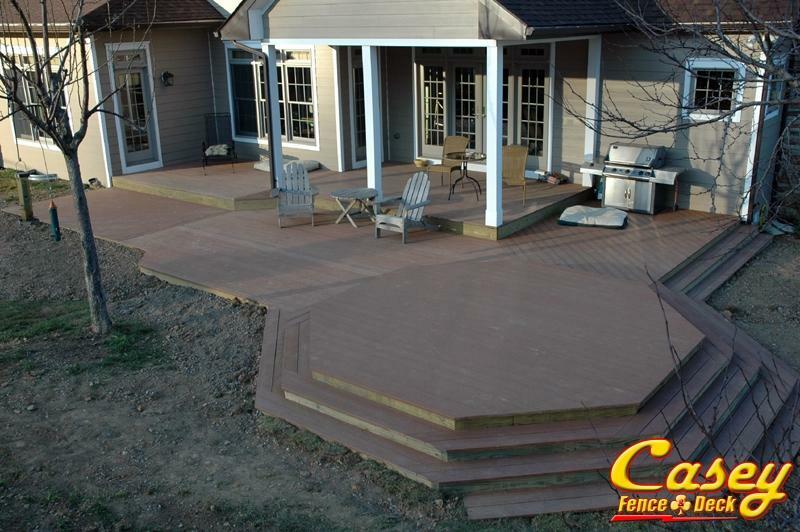 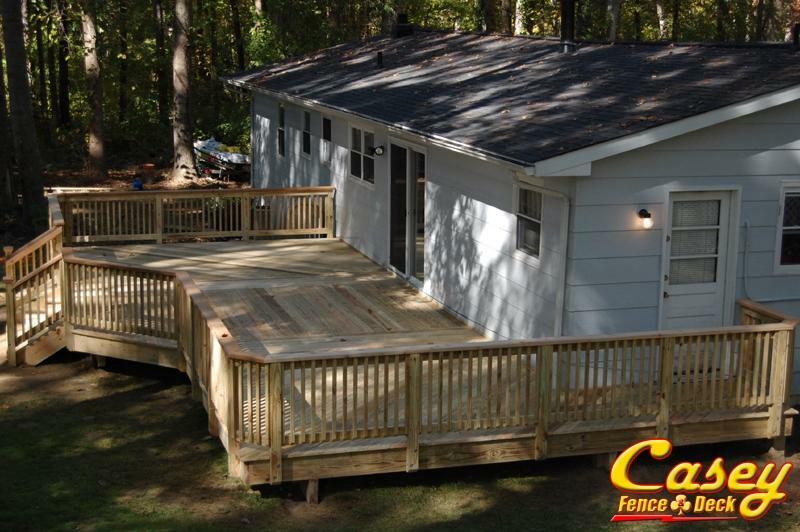 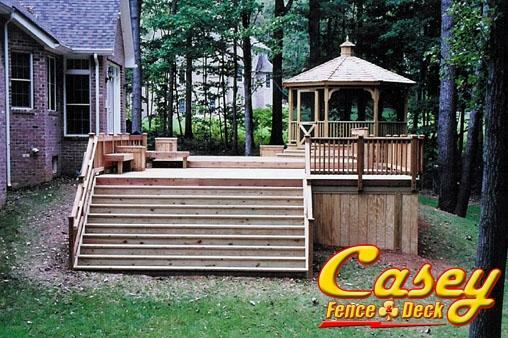 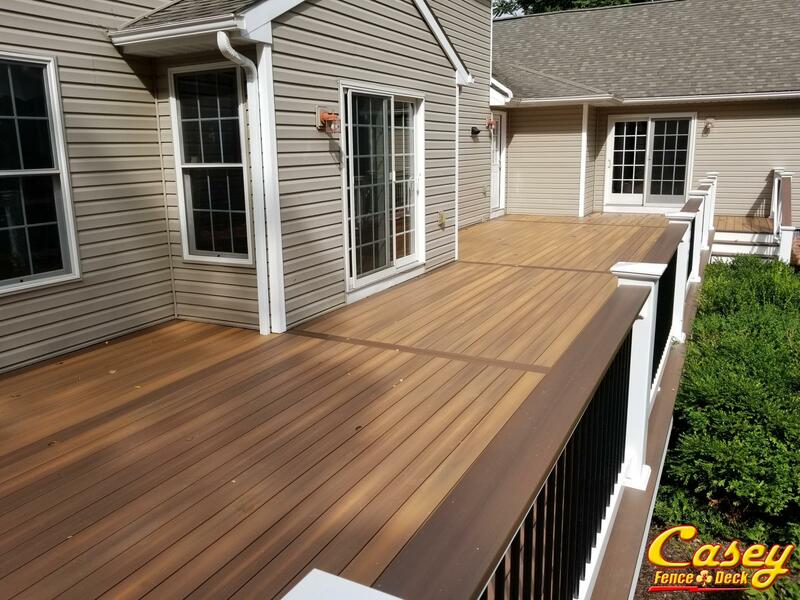 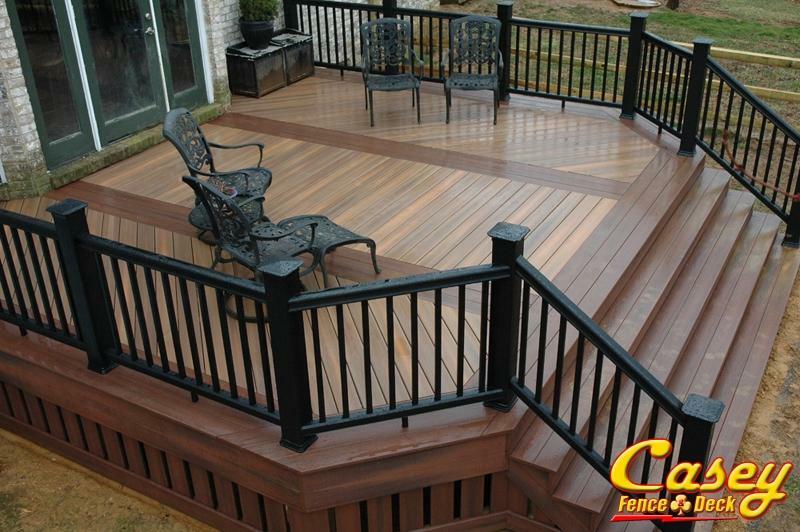 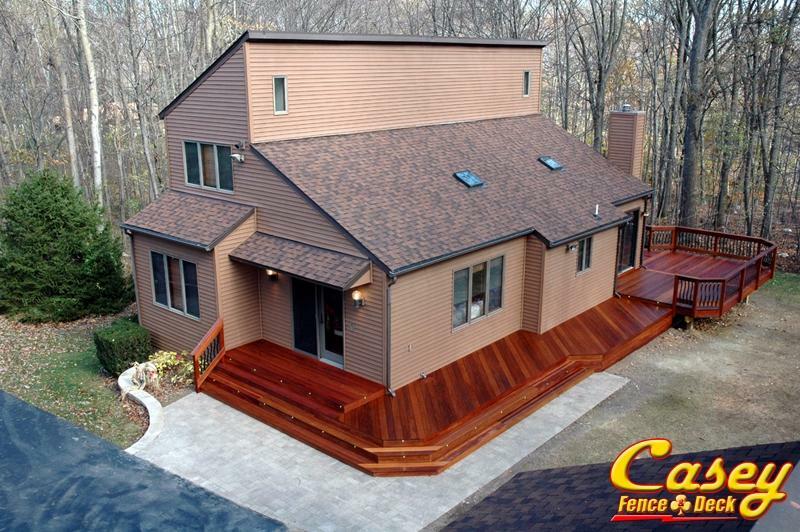 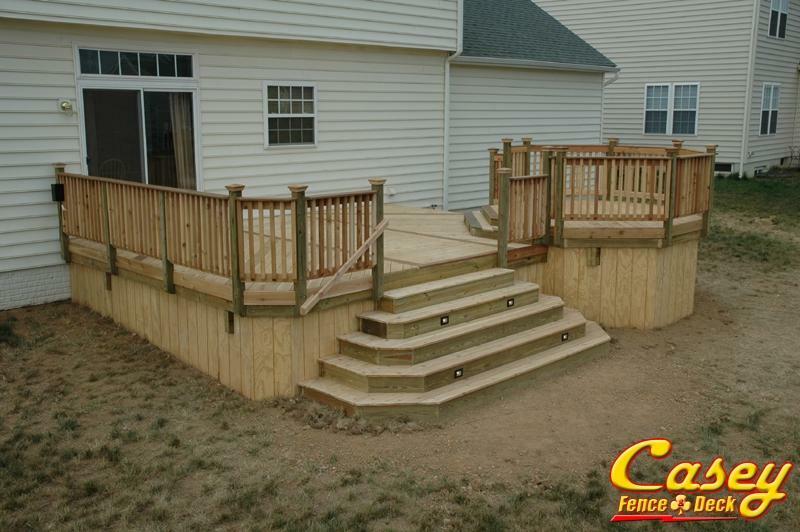 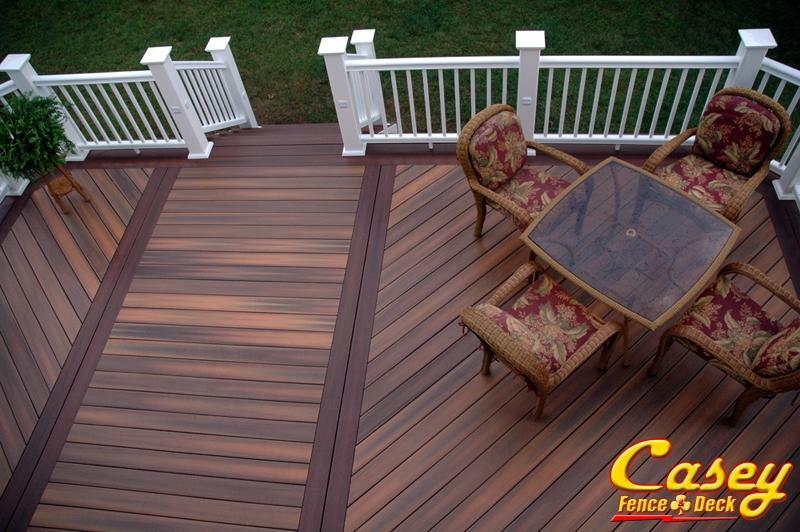 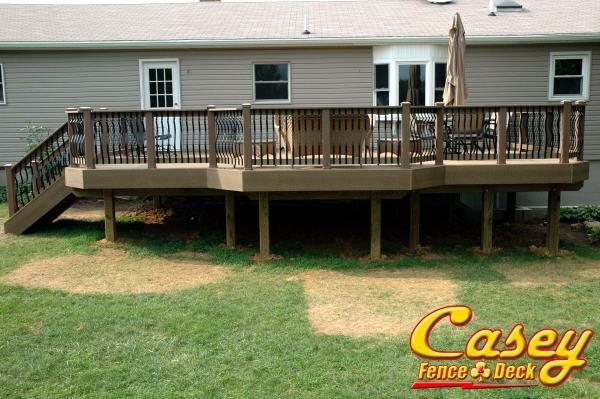 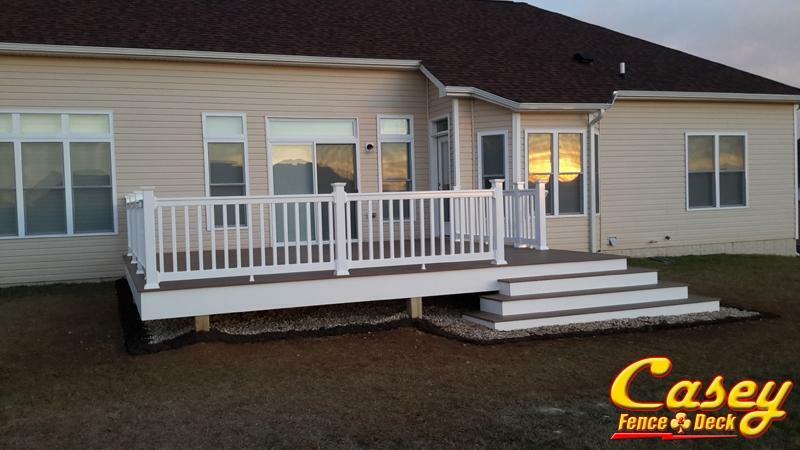 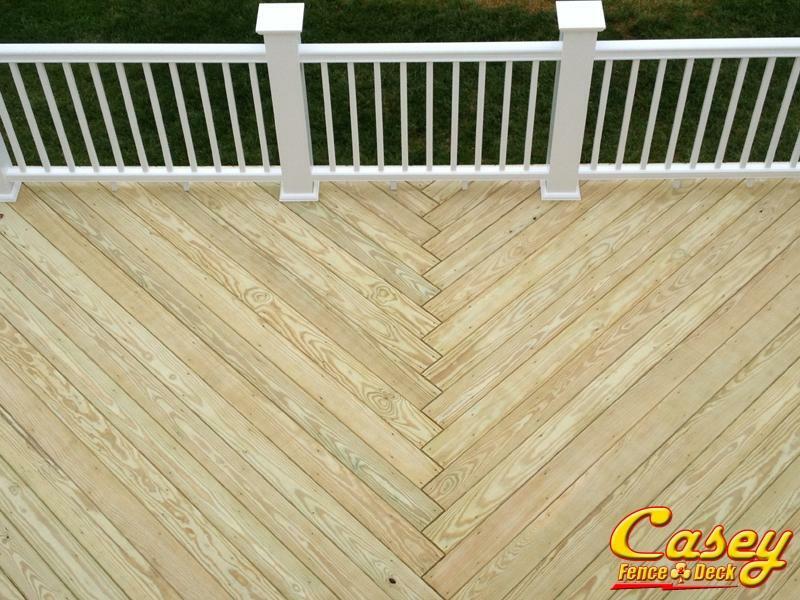 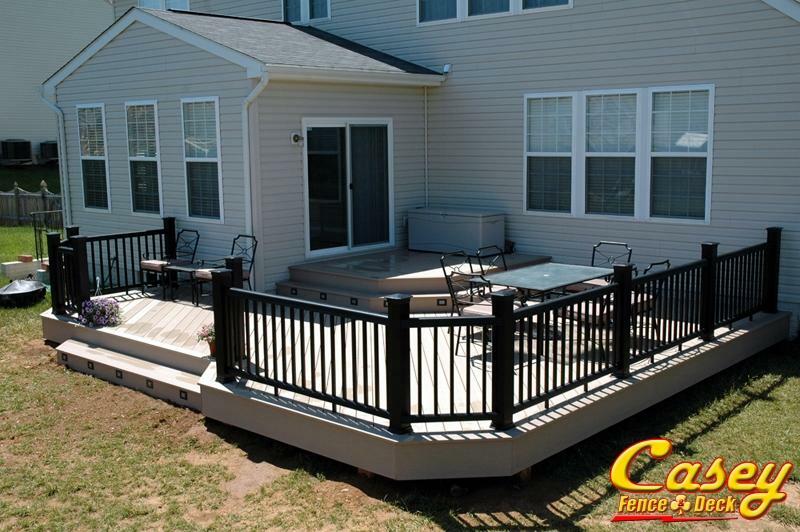 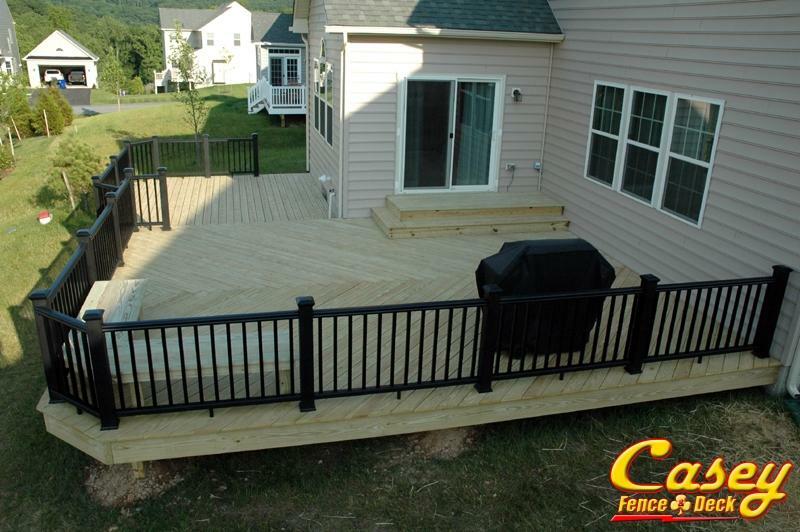 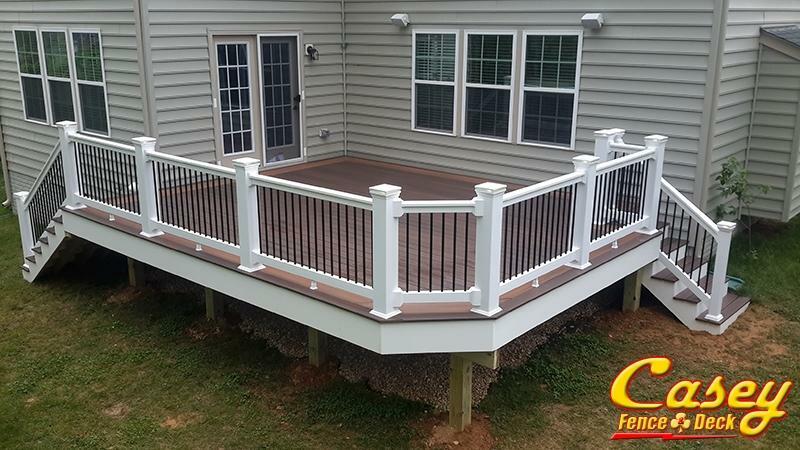 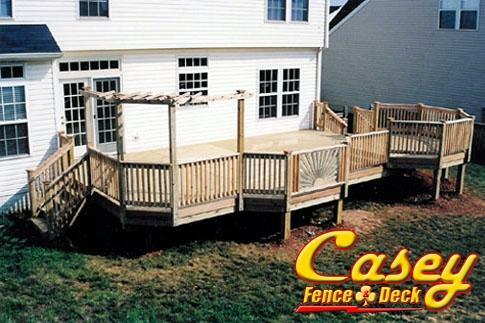 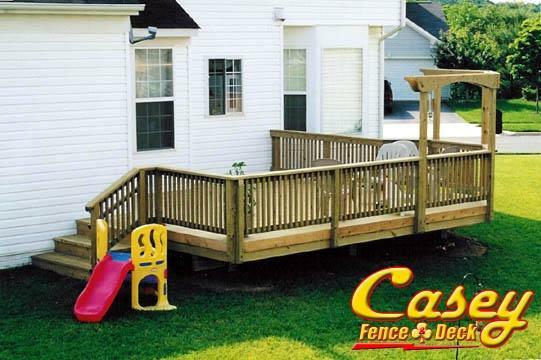 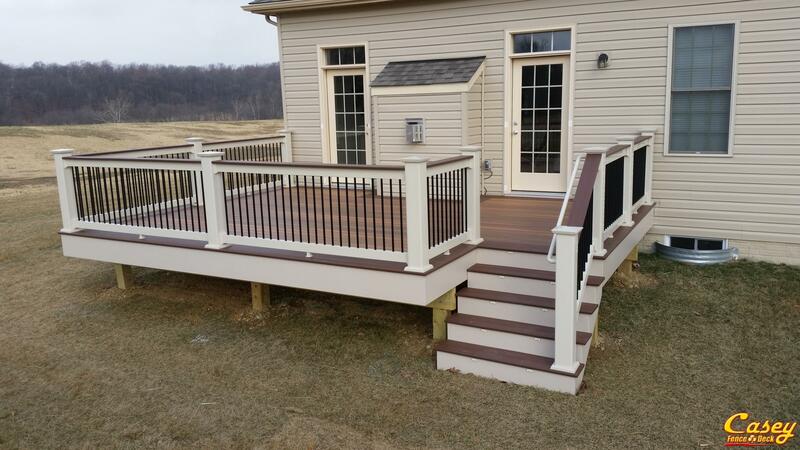 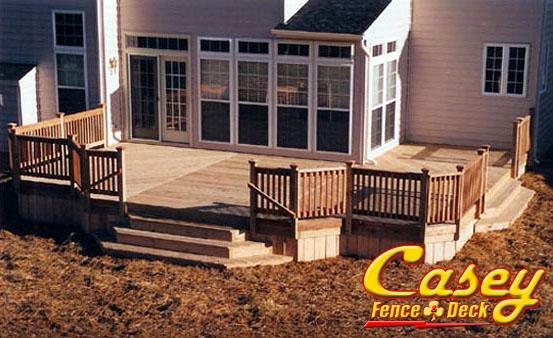 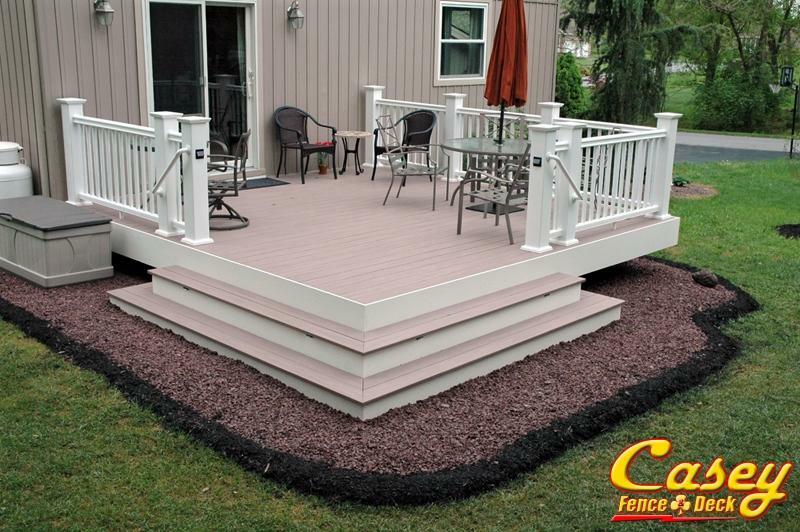 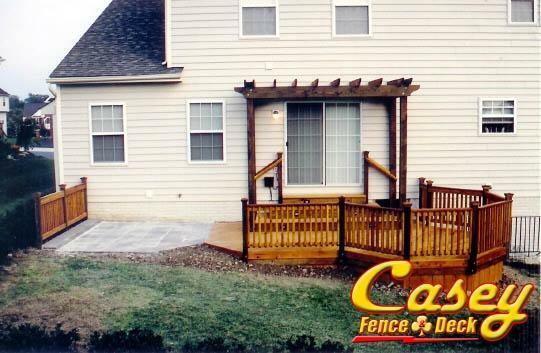 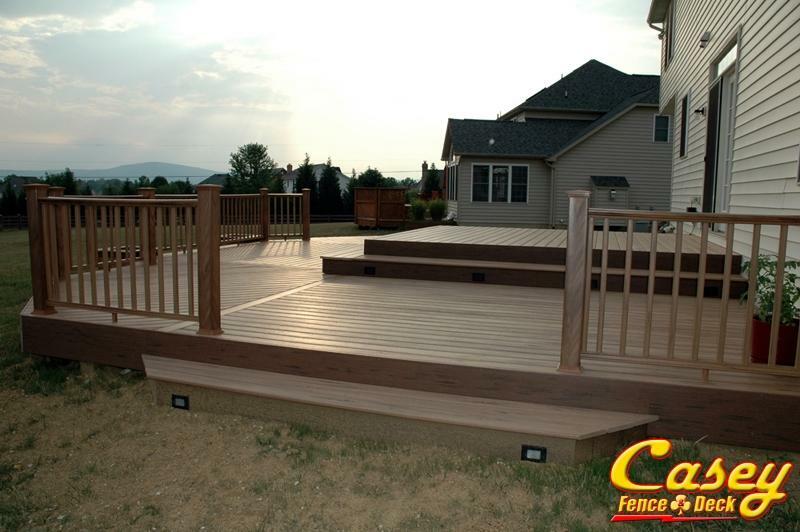 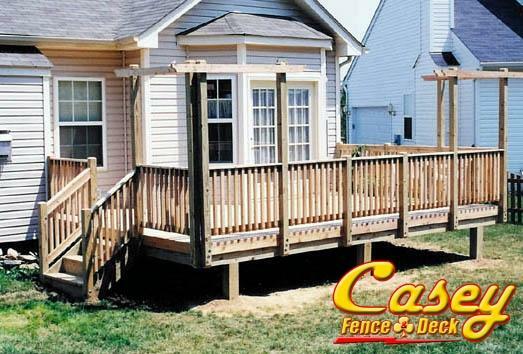 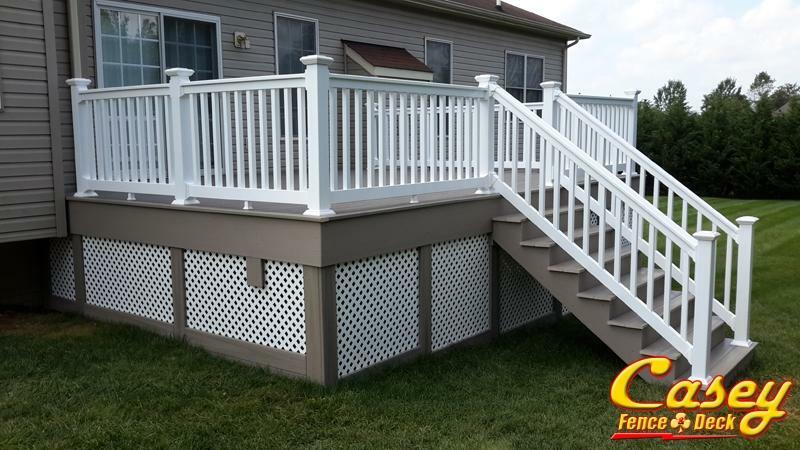 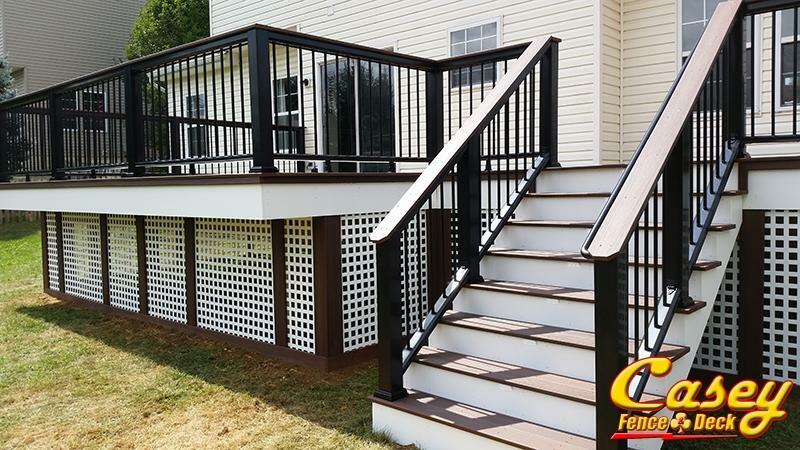 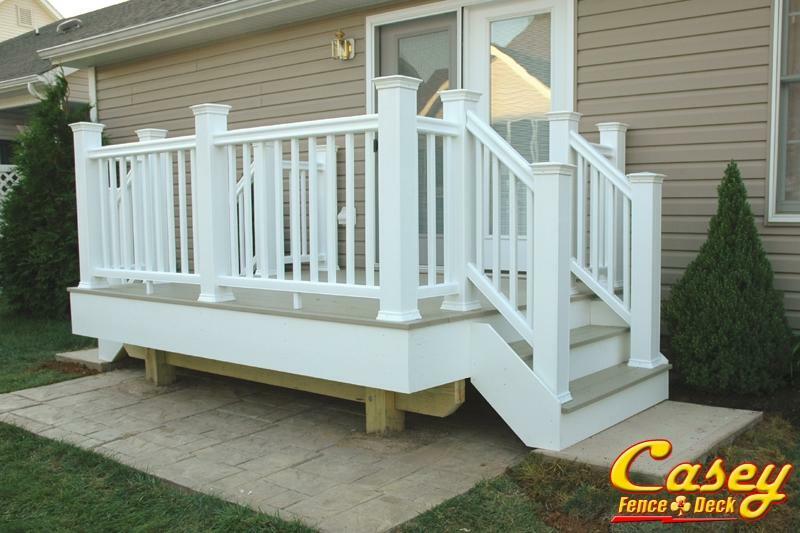 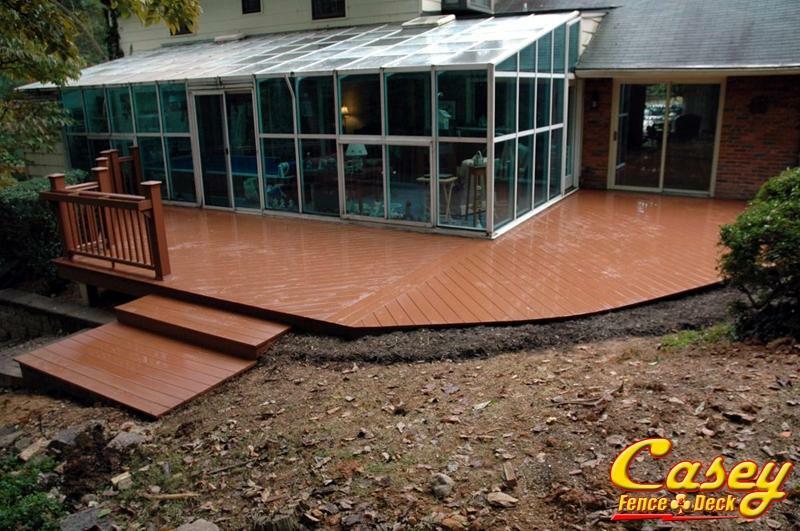 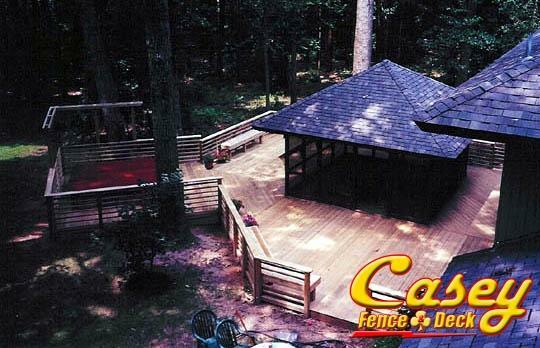 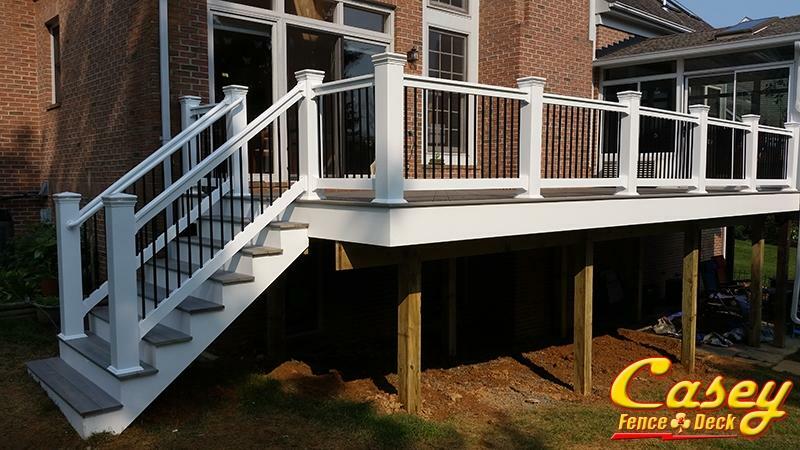 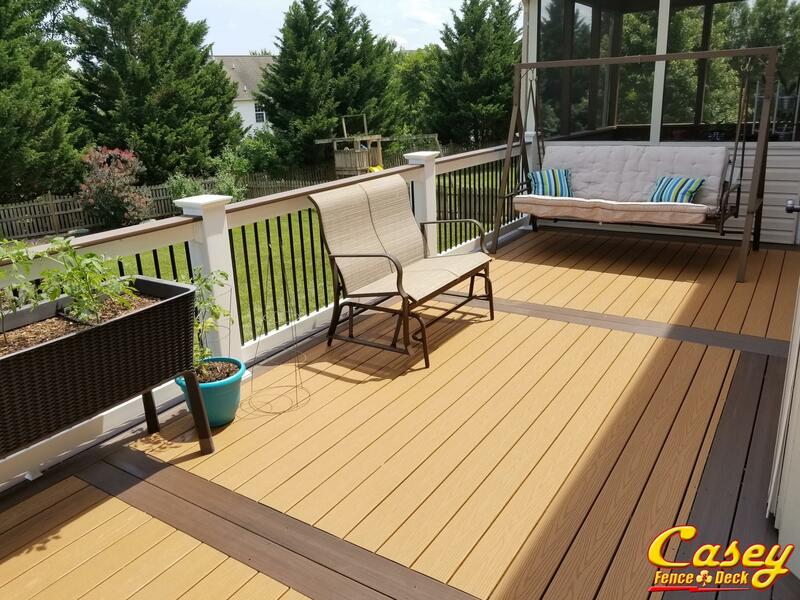 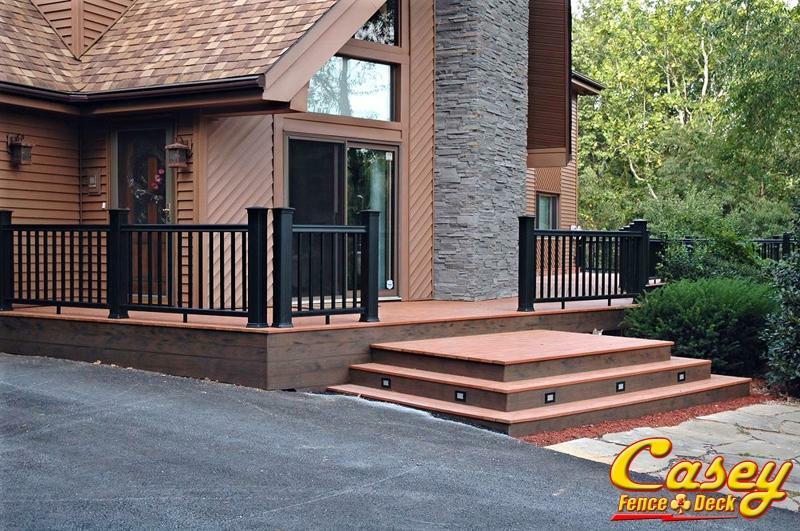 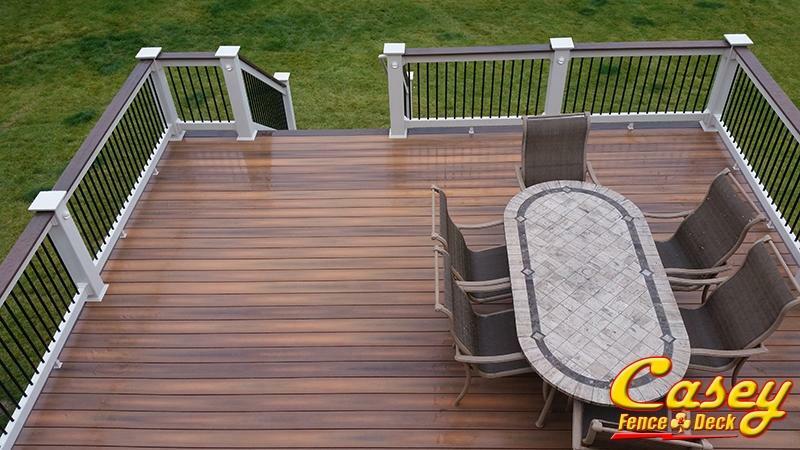 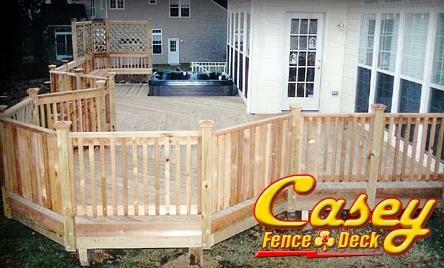 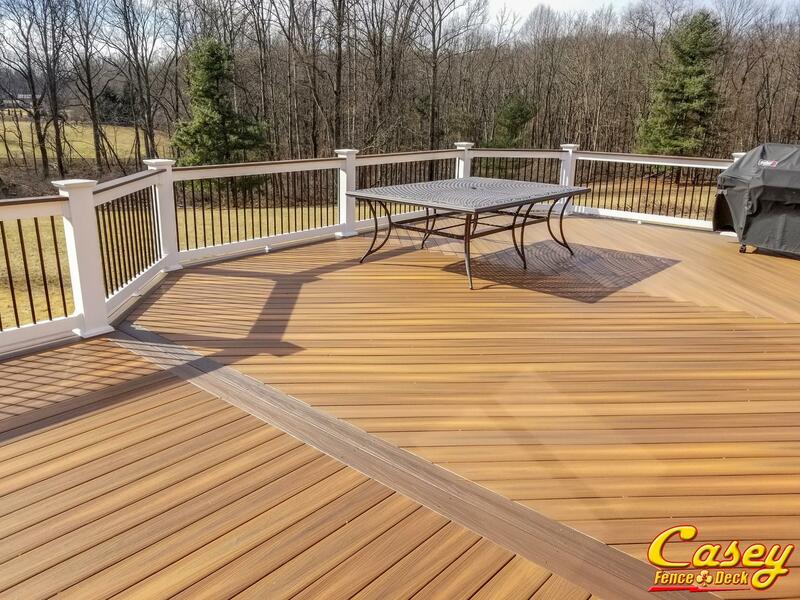 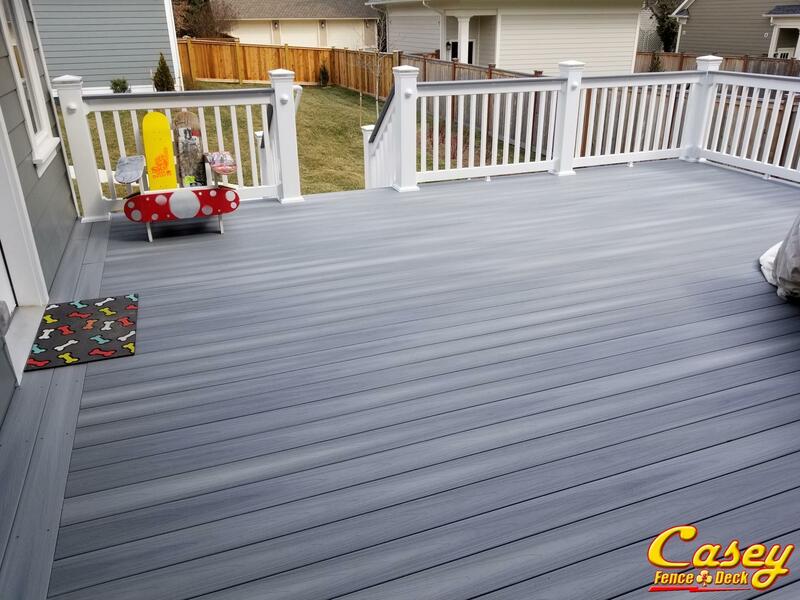 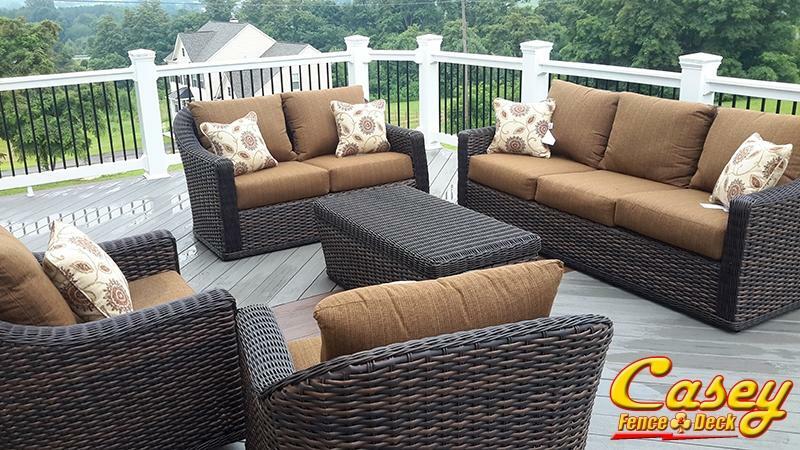 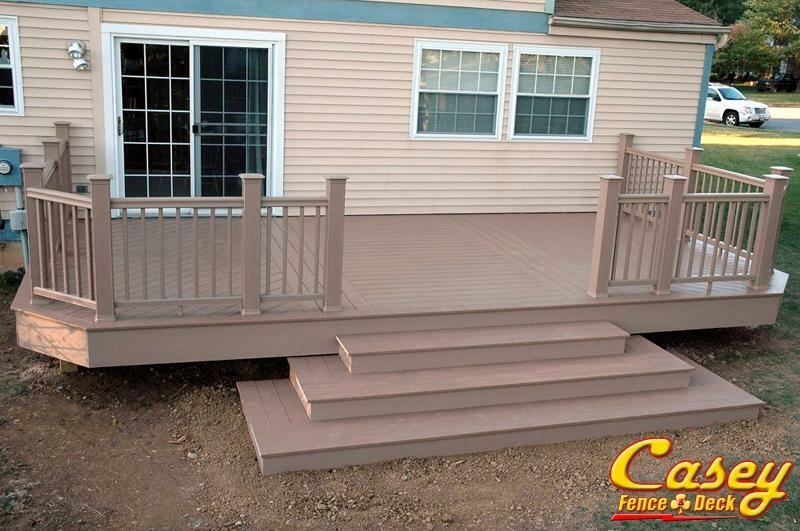 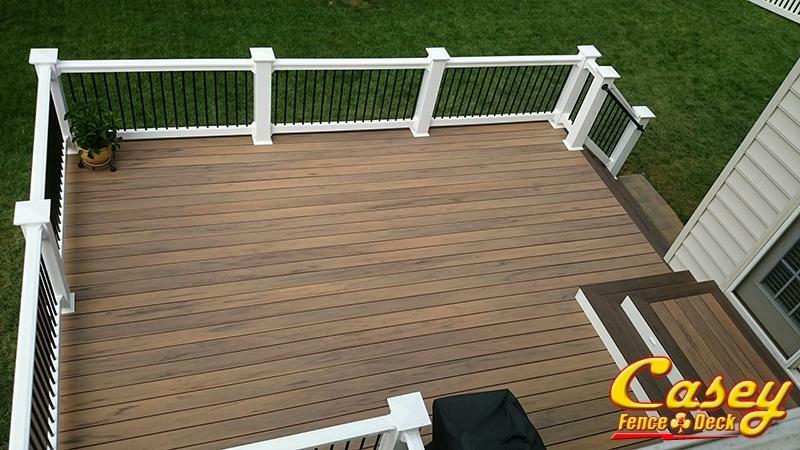 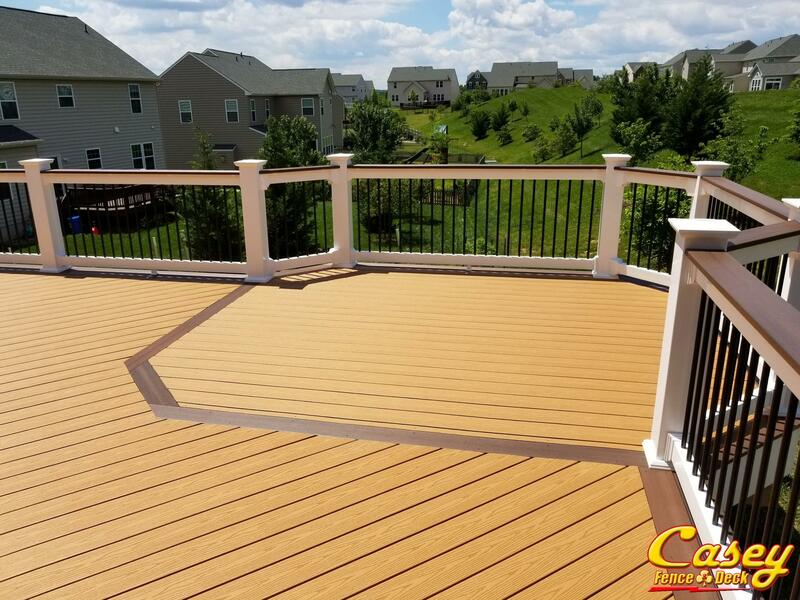 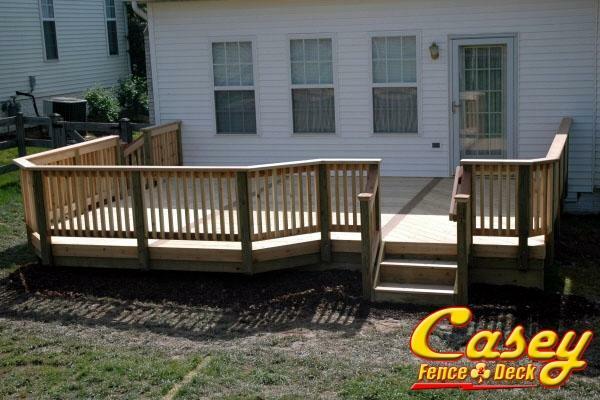 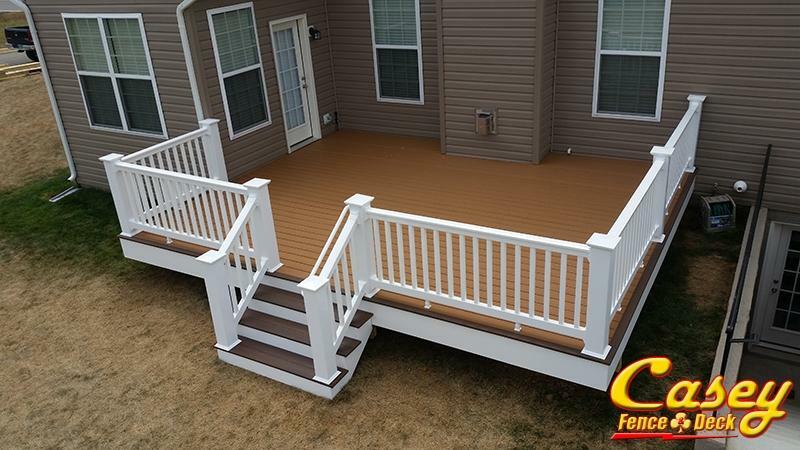 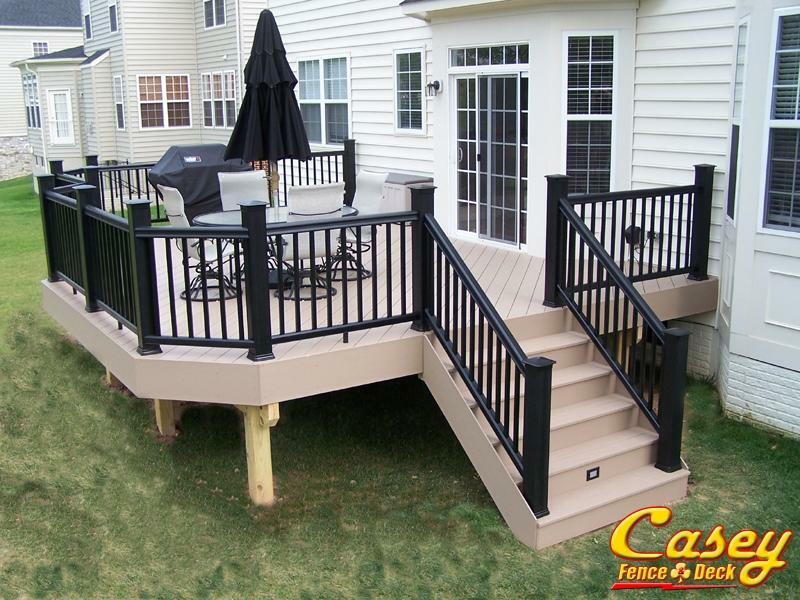 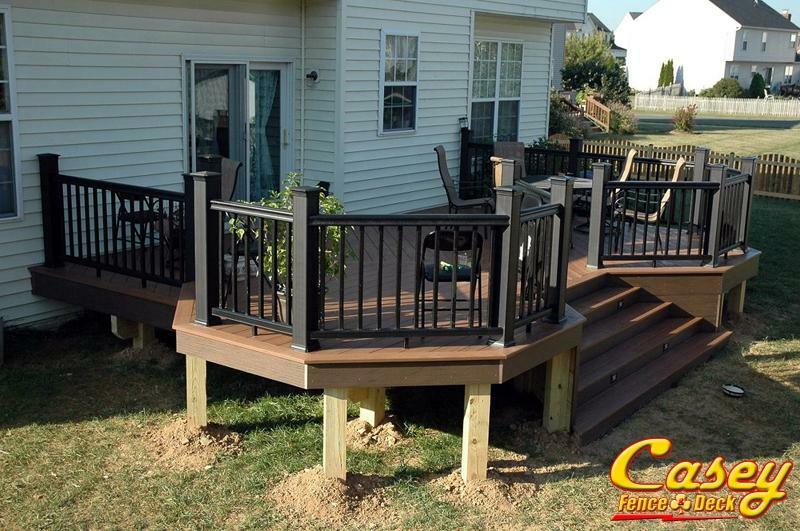 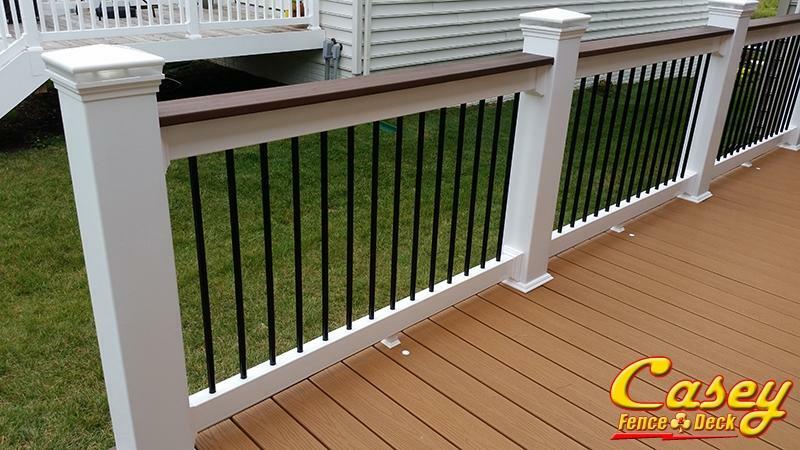 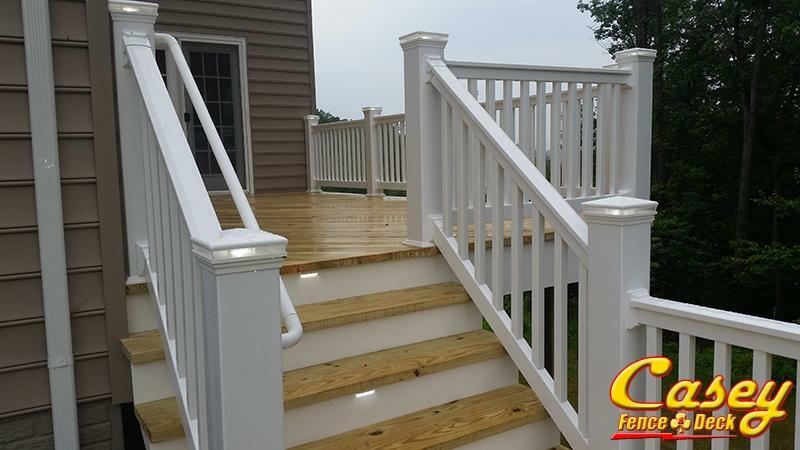 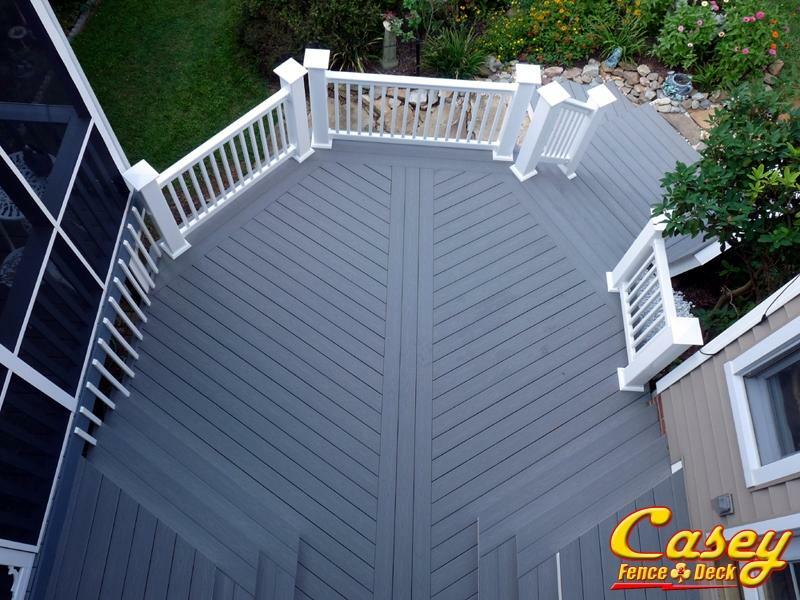 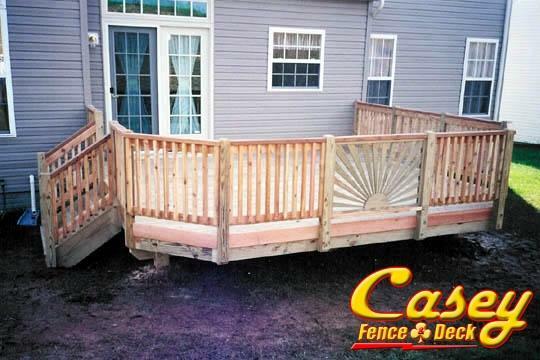 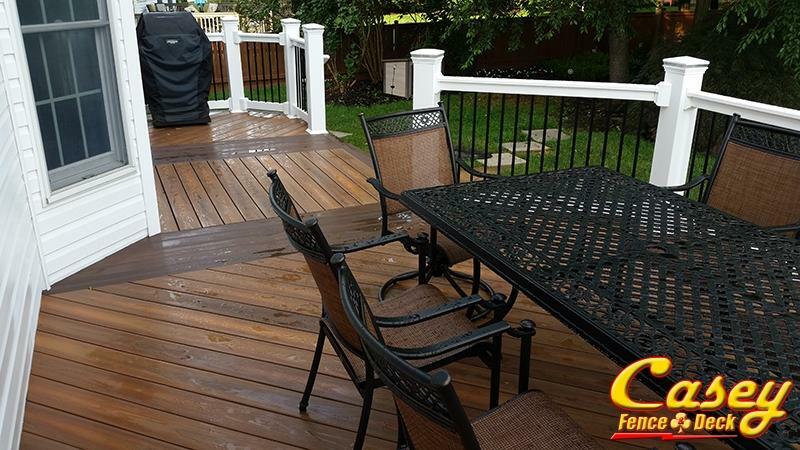 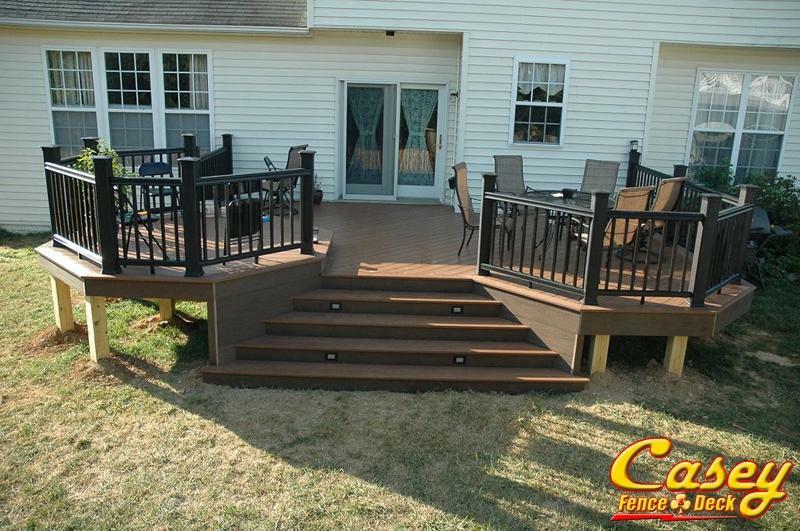 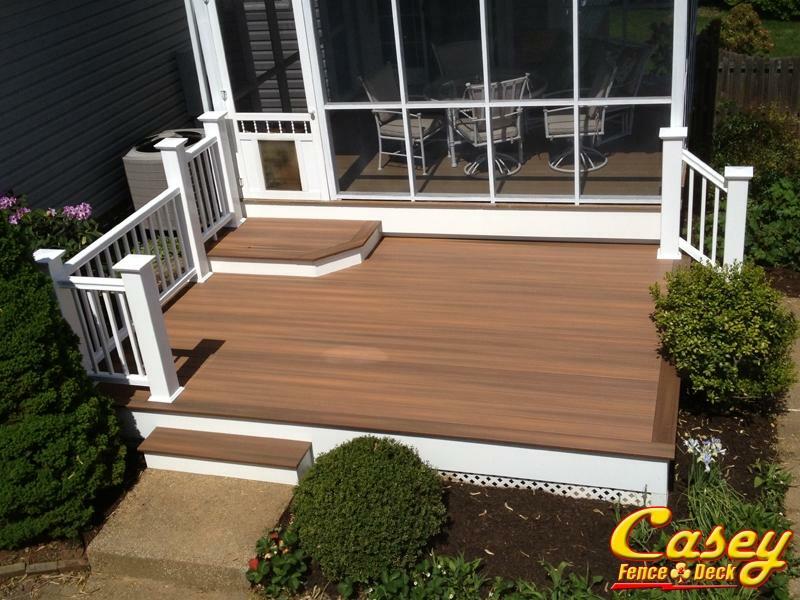 When you need a lower level deck, Casey Fence and Deck can make your outdoor living space really pop with custom patterns and more. 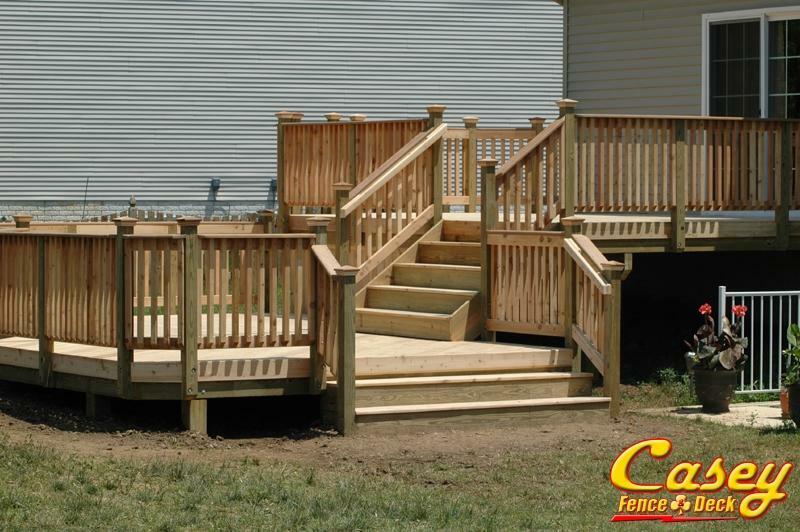 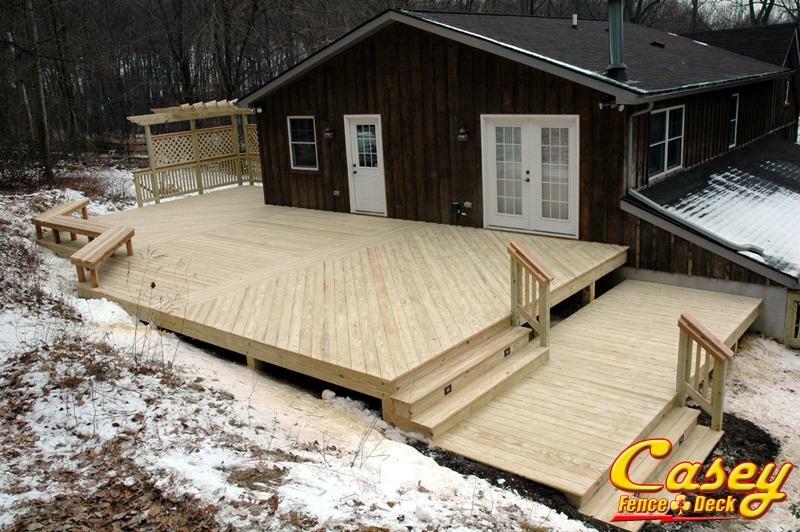 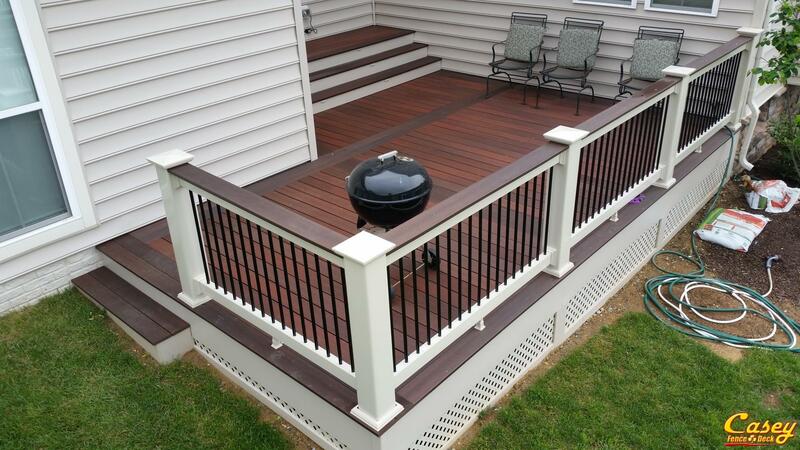 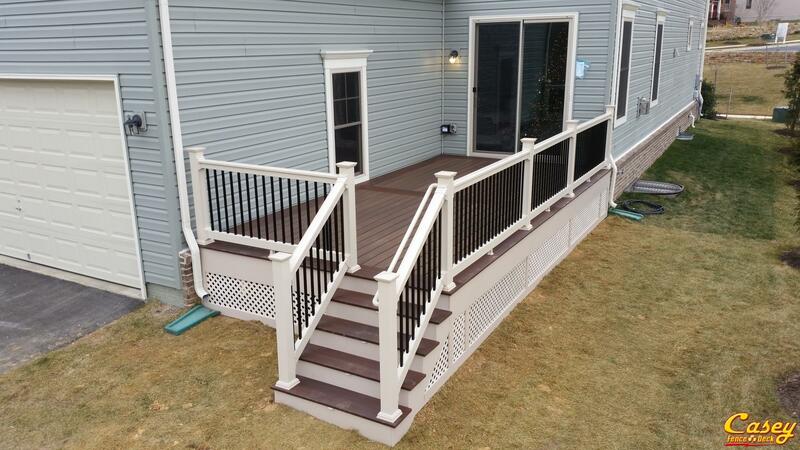 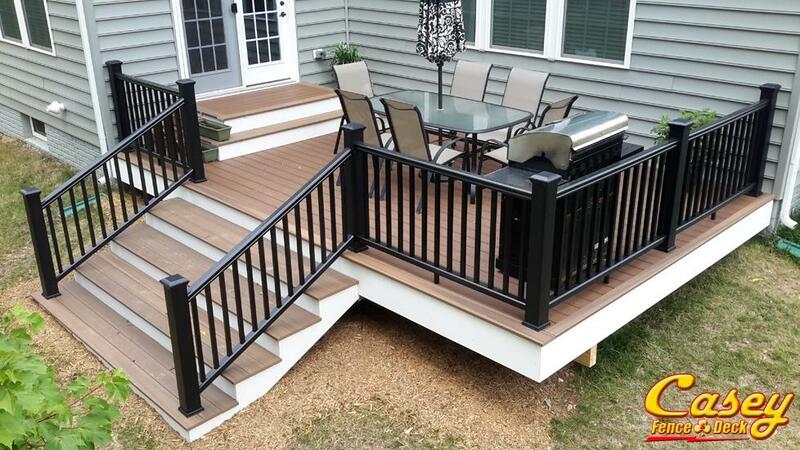 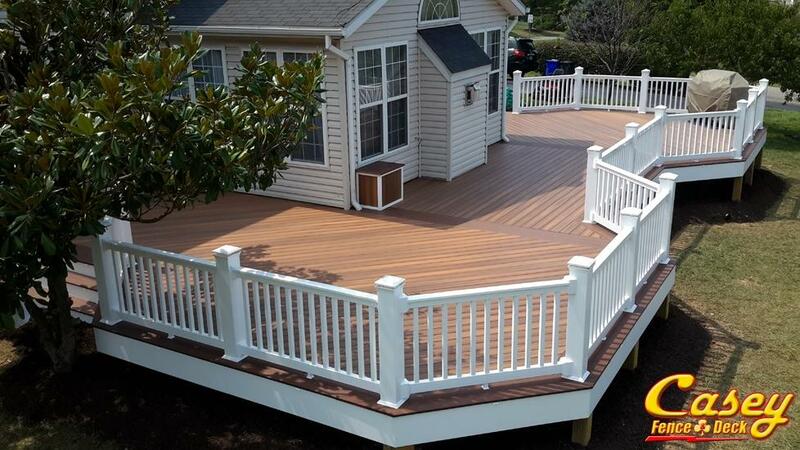 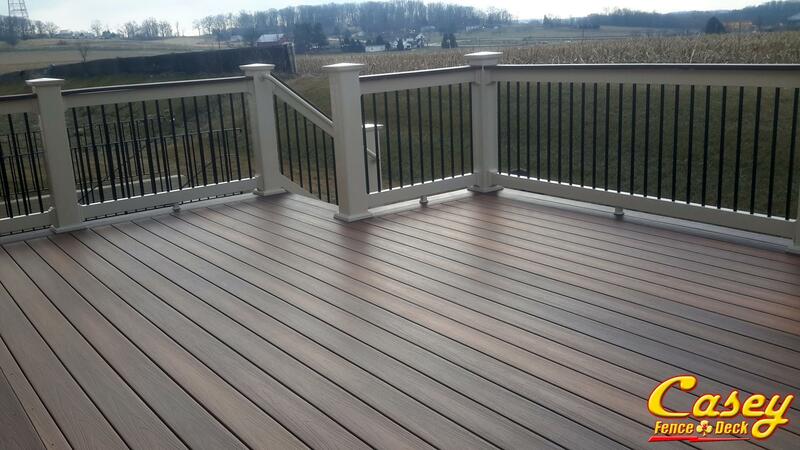 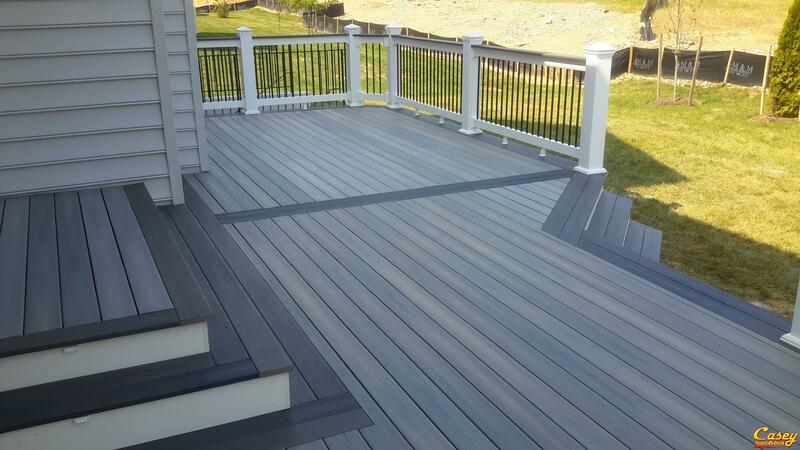 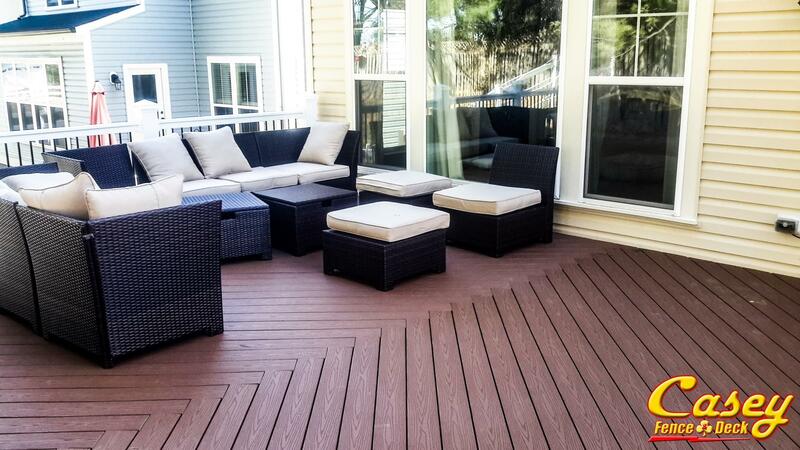 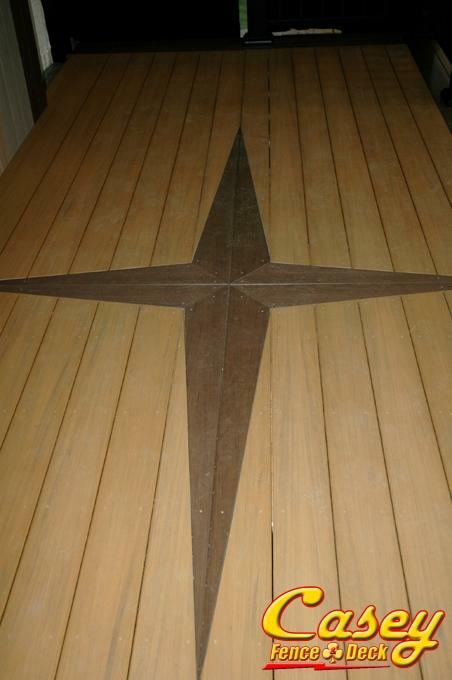 As a custom deck and patio builder, we build decks that are customized to fit your lifestyle and home. 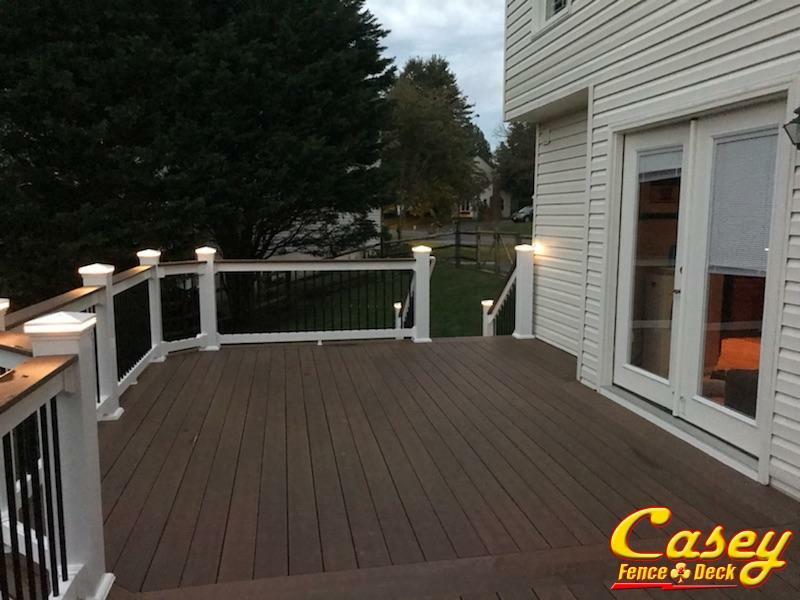 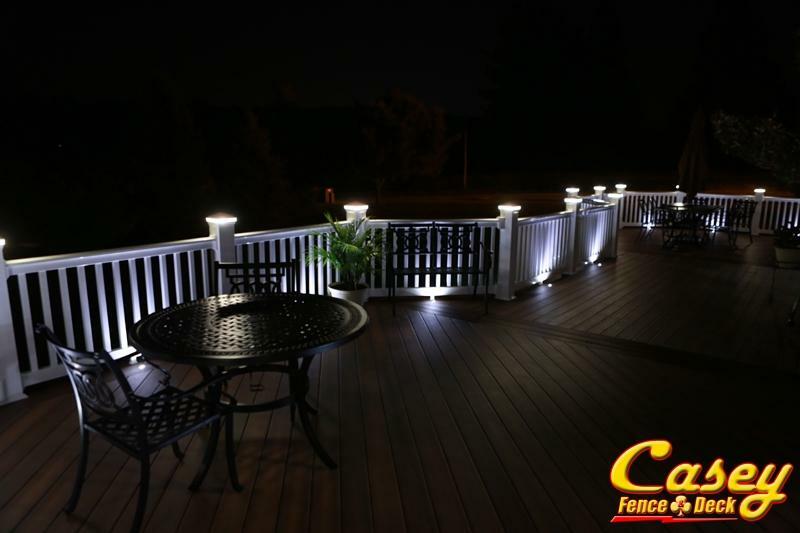 From curved decks to multi-level decks with specialty lighting, we can make your outdoor living space something you will forever love and cherish. 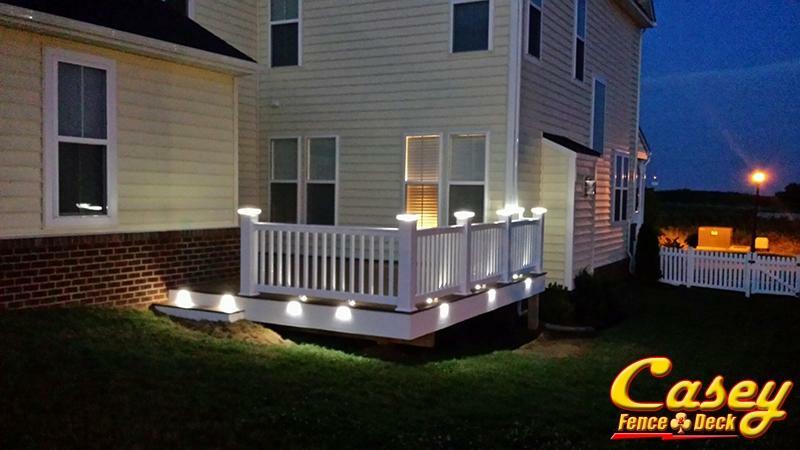 Low voltage LED light on every rail post except the corners - Landsdale development in Monrovia, MD. 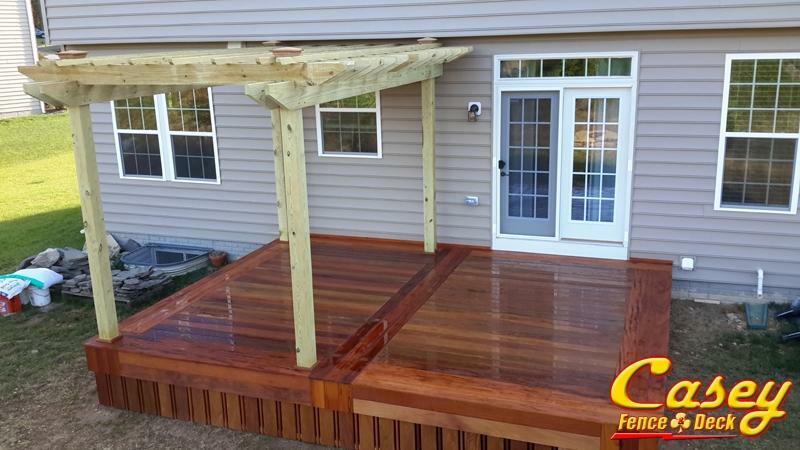 We created a custom cedar railing to tie into the design on the outside of the bench area and to keep this project unique in the neighborhood. 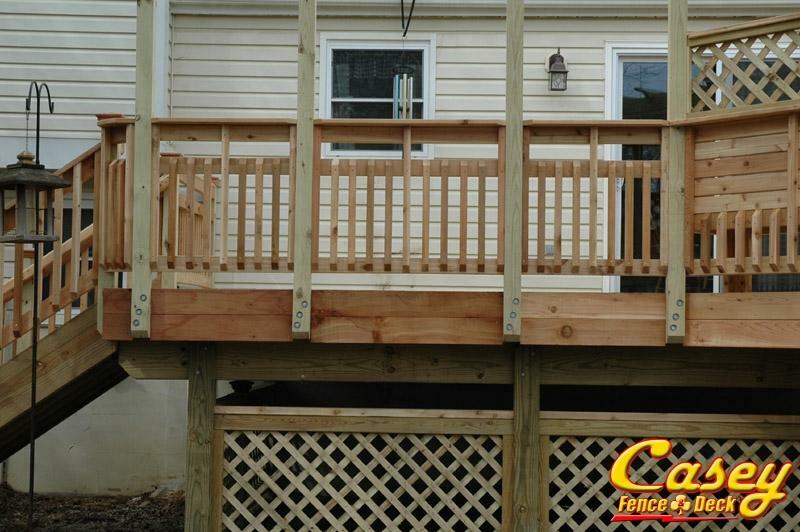 Our clients were looking for some additional storage area but didn't want it to look 'walled off' under the deck so we customized this lattice enclosure and installed a cedar gate for access. 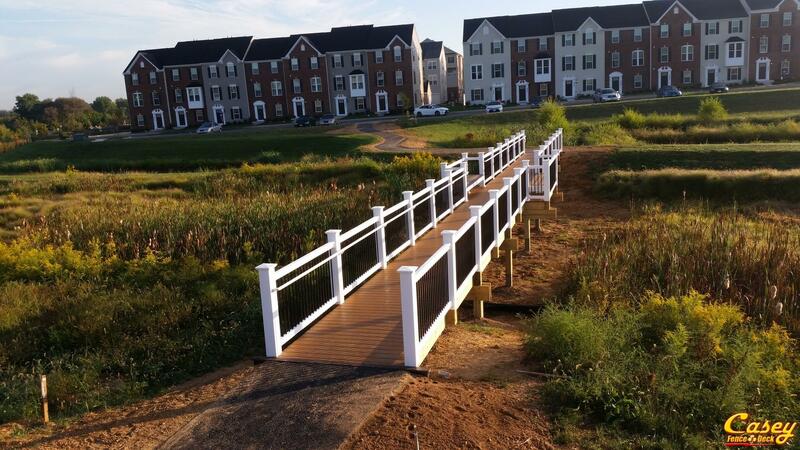 - Walkersville, MD.